Founder 5 with Janis Kristjans..
Here’s what Tricia is packing for her summer travels! This is the ultimate multi-tasker- I dab this on my lips and cuticles to soften and protect them, apply it onto my face as a moisturizer and primer, blend into my loose mineral makeup to turn them into cream products, massage around my eyes to remove stubborn makeup at the end of the day… AND it’s small enough to fit into my purse! 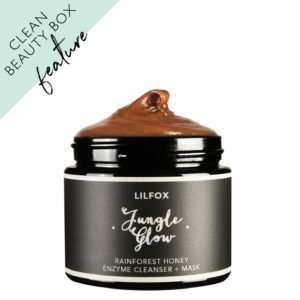 I have a slight obsession with all things LILFOX, but the Jungle Flow Cleanser + Mask is my favorite product from the line! Not only does this remove makeup and grime off my face effectively, it also provides gentle exfoliation and acts as a luxurious spa treatment when I leave it on my face for up to an hour. Here’s a tip: decant this into a TSA-friendly jar when you travel to save space! This Facial Elixir will help combat dullness and dehydration and allow me to refresh and hydrate my skin on the go- a must-have for flight travel. Made with artisan distilled hydrosols and whole plant extracts which are rich in antioxidants and micronutrients, I trust the integrity of Laurel’s ingredients and mist this liberally whenever my skin needs a perk-me-up.